Mannum's early history developed around the personal desire of William Randell, the son of an early pastoralist, to operate a steamboat on the River Murray, and in 1853 Randell launched his paddle steamer Mary Ann at Noa-No Landing, 5km upstream from the present site of Mannum, and in doing so, opened up one of the most romantic eras in the history of Australia. This paddle steamer, the first on the River Murray in South Australia, pioneered the navigation route to the stations along the Murray, Murrumbidgee and Darling Rivers, and in the early years, the goldfields of Victoria. The boiler of this historic vessel is currently preserved and is on display at the Mannum Dock Museum of River History. The river trade opened up a transport network for goods and services along the entire river systems, and in 1877 David and John Shearer established a blacksmith and implement business in Mannum and used the river system to market their range of agricultural products. 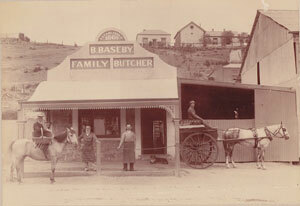 This company (now Horwood Bagshaw Ltd) remains today, the mainstay of Mannum's economy. 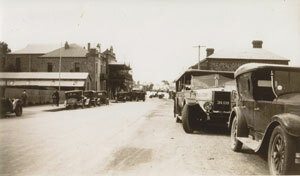 The rural areas of Mannum were, until the early 1870s, controlled by pastoralists who ran large cattle stations. However, in the period 1872-1883 many new farmers, principally of German stock, settled the land to grow cereals and for sheep production. These settlers provided the town with the economic boost required for development, and tradespersons, butchers, bakers, banks and other services established businesses to swell the population to approximately 770 in the early 1880s. This rich and unique heritage has provided Mannum with the opportunity to become known as the "Birthplace of the Murray River Paddle Steamers".